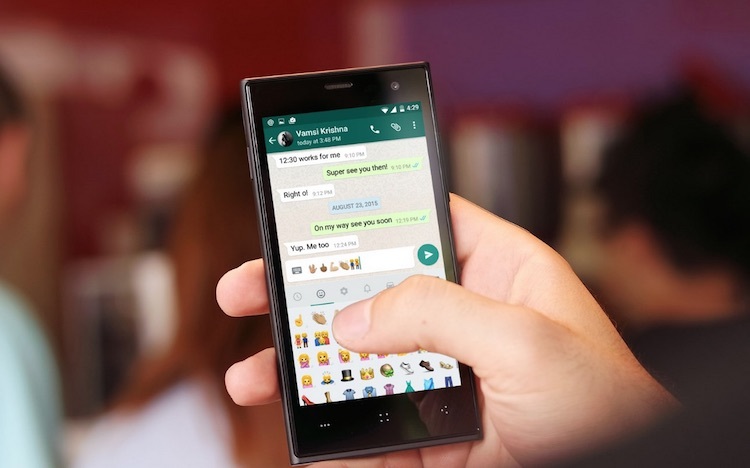 WhatsApp recently updated its Android app, bringing in new features such as the ability to mark a message as unread, new emojis and custom notifications. These features were previously spotted by Android Police a month ago, and are finally available on the Play Store. Listed as version 2.12.250, the new update should already be available at the Play Store. If you haven’t already done so, check for an update and download the latest version of WhatsApp to your Android device. After that, you can start exploring the new features. The most interesting thing in this update should probably be new emojis. 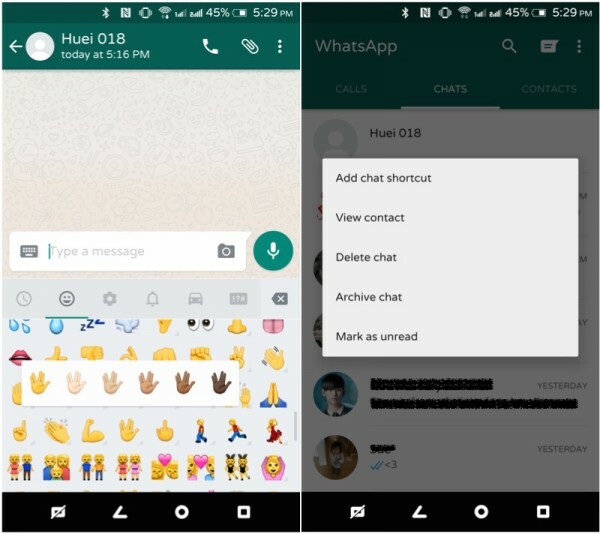 On top of getting new skin tones, WhatsApp also brought in a collection of new icons including a middle finger and Vulcan salute gesture. In case you’re wondering, no, your iPhone friend will not be able to see the middle finger emoticon. Another notable feature is the ability to mark messages as read or unread. Don’t get too excited yet though, marking a message unread will not turn the two blue ticks grey, it simply marks the message so you can come back and respond to it later. WhatsApp for Android v2.12.250 also lets you customise the notification for individual WhatsApp chats. You can use different ring tone, set different light colour, and set different duration of the vibration. 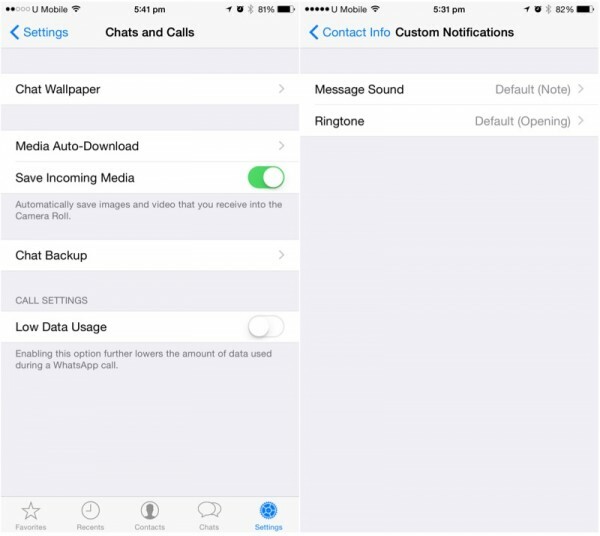 You can also determine how messages pop-up depending on whether your screen is on/off. As for WhatsApp calls, if you’re running low on data, you can now access the settings page for Chats and Calls, and opt for Low Data Usage. This will lower the quality of your call, but will definitely come in handy if you’re running low on mobile internet. All these new features are also available for WhatsApp for iOS, which was last updated earlier this month.